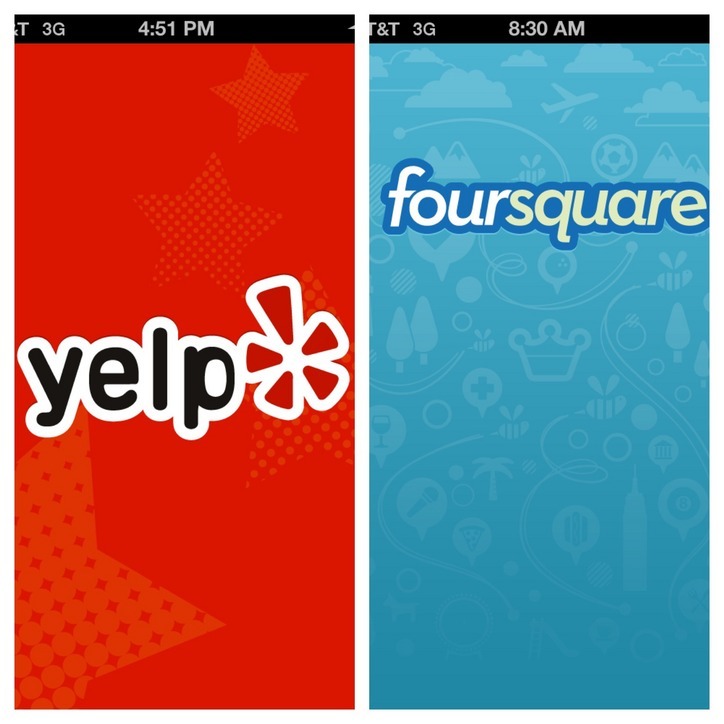 My friends, today we are going to Yelp and Foursquare. I know, it sounds like a loud, folksy dance, doesn’t it? These are two mobile app (with website) guides to cool things going on in communities. Through Yelp and Foursquare (and others, but I’m focusing on these two with a bonus at the end of this post) you can find places to eat, shop, get things fixed, play, and yes, worship. Yelp is like a 21st century Yellow Pages. And it has reviews. You can become a fan of a place. You can “check-in” on Yelp. Yelp has an average of approximately 108 million monthly unique visitors. 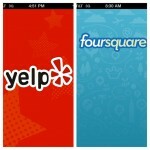 Yelpers have written over 42 million local reviews. Foursquare let’s you publicly “check-in” to a place. And based on your personalized profile and social network preferences, it will give recommendations of places to go in your community. Over 40 million people worldwide use Foursquare. Over 4.5 billion check-ins every day. 1.5 billion businesses leverage Foursquare. Chances are, your congregation is already listed on Yelp. If the information is wrong there is a link to claim the business and edit your profile. Yelp works on reviews, so it’s good to have members and friends of your congregation rate it (star system) and give reviews. Again, you probably already have a listing. Whether it is correct or full and snazzy, is another thing. You may contact Foursquare to claim your listing. You may add your website, hours of services (operation), social media links, and a description. The description is important. Be honest and creative and catchy here. Do not use insider language or acronyms. And once you claim your listing you may give updates (like you do on your Facebook page.) Foursquare does offer a tutorial of how to engage seekers if you really want to get into it. On Foursquare you can be named Mayor if you’ve had the most check-ins at a place in the past 60s days. Only one check-in per day counts. If you’re thinking “what on earth? why would anyone want to be Mayor?” There’s a whole body of literature on Gaming Culture. It’s a very real way to engage people. I want to be Mayor! Don’t you want to be Mayor? There’s also Badges, but I don’t understand them yet. 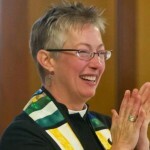 If you do, and your congregations uses them effectively, and you’d like to blog about them, please contact me. This is a site that was started by Jim Henderson and Matt Casper who wrote Jim and Casper Go To Church: Frank Conversation about Faith, Churches, and Well-Meaning Christians. (It’s an interesting read.) Here you can add churches, search for churches, and rate/ review churches. The ChurchRater site tends to be leaning in favor of fundamental-evangelicals. And you know what? Go there anyway! Let’s lean it the other way and make people wonder what just happened in the religious world, shall we? Wouldn’t that be fun? And there you have it folks. Some more tools for you to stretch out to seekers who are trying to find you. And people, they really, really are. Welcome them with open arms when they walk in your doors. Tandi’s would like to change her professional goals to include “becoming the Mayor of some Unitarian Universalist establishment before the end of the year.” And she really wants to earn a chalice badge. Does anyone have a chalice badge for her? Unfortunately, if you claim your church on Foursquare you can’t be mayor of it. The mayor of our church is some guy who checks in at every stop on his bus route every day. The advantage of claiming your “business” is that you can then offer incentives for checking in. I was thinking of offering some swag for checking in at our Welcome Desk on Sunday. I love the badges, I’m on level 8 of the Hot Tamale badge. But I don’t know how you start a new one.